– Secretary-General of the United Nations. – United Nations High Commissioner for Human Rights. – Special Envoy of the United Nations. Subject: A special appeal to invite you to work individually or in joint to stop the successive Israeli crimes against demonstrators in Gaza. The Legal Committee of the Great Return March National Committee highly appreciates your continued efforts to intervene for the sake of humanity. We are addressing you today to invite you to exert of your good efforts to stop the successive Israeli crimes against the peaceful demonstrators in Gaza Strip in a way that contributes to address the deteriorating humanitarian situation in Gaza Strip, which currently lives in catastrophic conditions. 1. The early hours of Friday, March 30, 2018, have witnessed the first Israeli crimes against the peaceful demonstrators who took part in the march and the return camp. The Israeli crimes committed on the above date resulted in the killing of 15 Palestinian civilians on the spot, three wounded have died later that day in the hospital, and more than 1087 were injured, including 207 children, 35 women and journalists, and 854 others were directly shot, 40 of them in critical condition. The Israeli violations continued at a lower rate in the days following Friday, March 30, 2018, till Thursday, 05 April 2018, resulting in the injury of approximately 185 Palestinian civilians. Since Friday afternoon, 06 April 2018, at 19:00 local time, the Israeli occupation forces killed 7 Palestinian civilians on the spot followed later by eighth wounded civilian, the killings included one child and a journalist. 718 others were injured, including 77 children, 17 women, 5 journalists and 5 paramedics. As well as hundreds of people suffocated as a result of the intensively fired gas by the Israeli occupation forces. During the eight days between March 30 and April 6, 2018, dozens of snipers from the Israeli military forces stationed behind sand wrecks, dunes and military jeeps, and start firing intermittently and deliberately at the participants of the return march, in which hundreds of thousands of citizens have participated in the five areas eastern Gaza Strip, causing direct killings and injuries among the participants beside firing dozens of tear gaz. During the past eight days, none of the peaceful demonstrators, including those who approached the border fence and set fire to rubber tires, posed a threat to the lives of the Israeli soldiers and their military establishment. However, the Israeli military forces deliberately used excessive force, which led to the death and injury of quite a number of demonstrators, despite the fact that the Israeli occupation forces were stationed 50-100 meters inside the border, and that there was a long distance between the main gathering of demonstrators and the occupation forces, and that a few of the demonstrators approached the border to raise a flag or to pelt the soldiers with stones, and thus the distance between soldiers and demonstrators can not in any way pose any danger to the soldiers’ lives. Since the beginning of the return camps, the marches have remained completely peaceful, and no one has seen nor the press cameras have monitored any armed manifestations among the demonstrators. There were thousands of elderly, women and children in the demonstration, some of them brought their families from different age groups, they raised flags and chanted slogans and national songs, and flying paper kites, and many other creative artistic and cultural initiatives, including theater performances, cultural competitions, reading sessions of books and novels, and there was no appearance of military manifestations. All the participants in the march and the return camp, as well as all the victims – as documented by dozens of local and international news agencies – were peaceful demonstrators, and none of them initiated any violent or military action or any action that poses a threat to the lives of Israeli soldiers deployed on the border fence, who have resorted to the use of excessive and lethal force on Palestinian civilians, children, young men and women participating in peaceful return marches, as well as the Israeli forces have prevented the access of ambulances to the injured by shooting at them and obstructing their work contrary to human values Legal and legal. The Israeli occupation forces deployed dozens of snipers along the border and clearly grant them a green light to kill the demonstrators. This was under political and judicial cover from the highest Israeli level, as was also evident in the press statements made by Israeli leaders on more than one occasion. 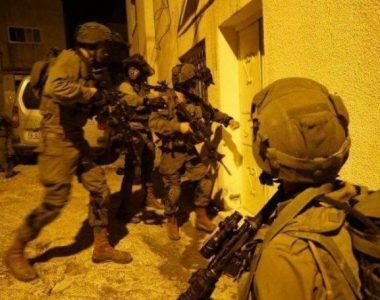 Dozens of Israeli military and civilian officials issued statements threatening to use force against the participants in the return march, which the People’s Committee that responsible for its organization has confirmed it is a peaceful march seeking the implementation of UN resolutions, including paragraph 11 of Resolution 194. On Friday morning, March 30, 2018, The Israeli occupation forces carried out a systematic penetration of mobile phones and personal pages on social media of dozens of activists and officials of the Coordinating Committee for the Great Return March, including falsely promoting news aimed at thwarting the peaceful popular movement. On Thursday evening, March 29, 2018, an Israeli official party contacted a number of Gaza transportation companies owner, threatening to punish them in case of their participation in any of the events of the march and the return camp, including denial their right to travel and ban remittances. On Sunday morning, 25 March 2018, Israeli war planes launched warning documents in large areas of Gaza Strip declaring that Israeli forces would take the necessary measures, including shooting at anyone approaching the border fence. The threat wasn’t the first of its kind, it is the implementation of a systematic Israeli policy, which is to use the warning as a mean of terrorizing civilians, where the Israeli occupation forces applied this policy during the recent war on Gaza Strip in the summer of 2014, and applied it over the years of the ongoing Israeli blockade, which focused on creating buffer zones along the armistice line inside Gaza Strip. The results of the implementation of the Israeli policy and the resulting procedures for employing the warning means proved that the Israeli occupation forces use these measures to intimidate and terrorize civilians, not to minimize the military damage that may be caused to them, They have deliberately violated the safety of civilians, farmers and fishermen who have complied with Israel’s warnings. Anyone familiar with Israel history, it is unequivocally proven to him that the occupation state, in all its components and especially the judiciary, is not prepared to conduct genuine and independent investigations of the crimes committed by its soldiers and military and civilian leaders against humanity. And that’s what the UN Independent Investigation Commission on the Gaza conflict of 2014 concluded in its June 22, 2015 briefing. “There is impunity at all levels for planned violations committed by Israeli forces in the West Bank and Gaza Strip “. The previous experience of the Israeli Military Investigation Committees, as well as the work of the Israeli military and civilian judicial system, clearly indicate that in previous cases Israel didn’t conduct an examination and investigation that conforms to international standards of investigation. These standards are based on independence, impartiality and transparency. In this regard, a report published by the Legal Center for Arab Minority Rights in Israel and the Al Mezan Center for Human Rights in Gaza on August 30, 2016, indicated that Israel is not prepared to conduct genuine and independent investigations of war crimes, nor does it intend to hold any accountability as required by international law. This situation has continued despite the formation of a new fact-finding mechanism by the Israeli army called the FFA, which is alleged to improve the army’s investigation, where Israel claims that this mechanism, which was formed after the 2014 aggression, is the result of its efforts to implement the recommendations in the Turkel Committee report of 2013. The mechanism is designed to work accurately and expeditiously in the earliest timeframe of the event occurrence date to ensure a prompt and effective investigation. However, the mechanism operates in a non-transparent and slow manner, in fact, most of the complaints that have been filed are frozen within the scope of this mechanism. In fact, all those who follow-up the limited Israeli investigations process conducted by the Israeli authorities agree that Israel hasn’t carried out any of its investigations in accordance with the requirements of international law, and that Israel and its various agencies have a desire to withhold defendants from justice. As it failed systematically to conduct serious investigations, especially in light of the fact that many of the violations of international law committed during the Israeli aggression on Gaza Strip are a direct result of the policies adopted by the highest levels of Israeli civilian and military leadership, which have publicly pledged in many statements to prosecute none of their soldiers. 10. The Israeli occupation state and its military and political leadership haven’t responded to the international calls that urged them not to harm the lives and safety of the demonstrators, but launched a strong battle against human rights defenders and Israeli human rights organizations that urged Israeli soldiers to abide by the international humanitarian law, and not to obey the orders to kill demonstrators, as happened with the organization B’Tselem, which had launched a campaign under the title (sorry commander, I will not fire), to explain to the soldiers that they have to refuse to shoot peaceful demonstrators. The return march is a result of the popular Palestinian desire, that the Palestinian movements have supported only by participating in demonstrations, especially in light of the weakness and inability of all other means to implement the right of return of these refugees, including the inability of international organizations to realize the rights of refugees and the Palestinian people, as a result of the imposition of new facts on the ground by the occupation power alongside the US , without even taking into consideration the long-stalled peace process and the continuation of Israeli policies that deny human rights, especially settlement policies, the continued construction of the Apartheid Wall, and other policies that violate international law. The inhuman conditions of the refugees and the Palestinian people, especially in light of the unprecedented deterioration of humanitarian crises in Gaza Strip due to the ongoing Israeli siege and the repeated Israeli aggression in a short period, which led to an increase in the poverty rate in Gaza Strip to 65%, unemployment to 65%, played effective role in forcing Palestinian civilians to participate in these marches, as well as the inability of the international community to provide international protection to the Palestinian people, and its weak ability to effectively intervene to hold Israeli leaders accountable for their crimes and policies, as well as the new US policies that threaten the work of UNRWA. The Coordinating Committee for the Return March has announced in dozens of occasions its keenness on the peacefulness of the demonstrations in response to the demands of the International Red Cross (ICRC) to set up the tents at a distance of at least 300 meters away from the border fence, these tents were actually erected 700 meters away from the border fence. The Coordinating Committee for the Return March and the ensuing committees are non-partisan coordinating bodies whose members have been selected from among the activists known for their union, popular and human rights roles as a step towards coordinating the march to ensure that the march reaches its declared goals, including maintaining peaceful demonstrations, to maintain demonstrations and demonstrators safety, and not to be involved in armed clashes, and to ensure completing the program of events intended to continue until the date of 15 of next month, which coincides with the anniversary of the Nakba, and the United States implementation of its decision to transfer its embassy to Jerusalem. Out of our daily follow-up, we didn’t even notice a flag or banner of a particular Palestinian movement, but the demonstrators raised the flag of the State of occupied Palestine, and maintained the peaceful approach despite the crimes and killings, no cases of injury to any Israeli soldier have been registered, which shows the lies and fabrication of all Israeli allegations. Palestinian demonstrators participate in the demonstrations on a voluntary basis, no one can exert any pressure on them, on the contrary, there is a widespread popular desire to participate, especially in light of the Israeli constant denial of the rights of the Palestinian people and the Palestinian refugees throughout the years of the occupation. We can confirm that the coordinating committee of the return march, as well as the demonstrators did NOT receive any money to urge them to participate, it is unreasonable to pay funds to nearly 400 thousand demonstrators participated once or more in these demonstrations, especially in light of the Israeli siege on Gaza Strip. 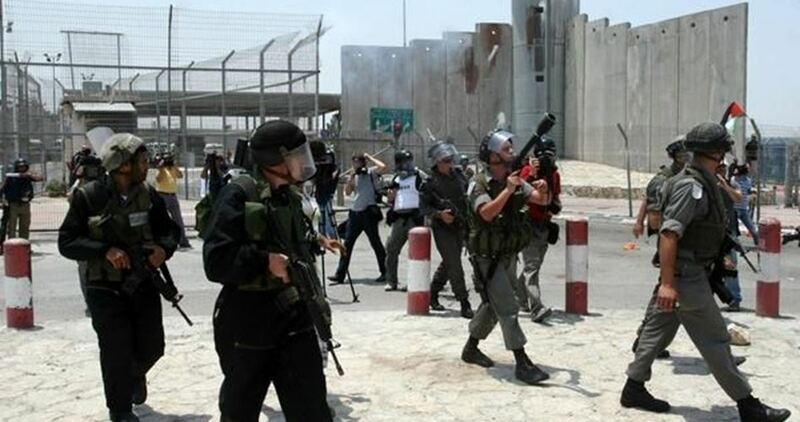 The bottom line is, the Israeli occupation forces have killed 30 demonstrators, and injured thousands. The number of deaths is eligible to rise due to serious injuries and the poor capacity of hospital in Gaza, which suffer from the continuation of the Israeli siege for the eleventh year in a row, as well as the continuation of the occupation forces in their violent military approach against unarmed demonstrators, who were determined to continue their peaceful demonstrations until the fifteenth of May 2018. The killing of Palestinian demonstrators comes within the framework of clear denial and disregard for the human rights system and international humanitarian law. However, they continue to try to justify these acts, and unfortunately, some international news agencies convey the Israeli narrative. This strengthens the extensive criminal record of Israel, and its military and civilian leaders and forces. On the basis of the above facts, the Committee has the honor to place this information in your hands and declare its readiness to respond to your further inquiry and to provide you with documented material evidence of the Israeli occupation forces committing the crimes described above. In this regard, the Committee calls on its behalf and on behalf of the victims and their families to consider the above information and to work diligently to put pressure on Israel to stop its violations against peaceful demonstrators, especially in view of the failure of the Security Council to issue a joint statement condemning the Israeli crimes. Your International organizations and bodies constitute the last resort for Palestinian victims and their families who wish to obtain their right to judicial and legal redress effective, and wishing and aspiring for a greater role you contribute to stop these Israeli crimes, and the lifting of the Israeli unjust siege on Gaza Strip. The Legal Committee of the Great Return March National Committee is seriously monitoring the escalation of the Israeli military attacks that began with the beginning of the march and the return camp. It warns against the continuation of your silence and the silence of countries on the Israeli crimes committed against the demonstrators, especially in Gaza Strip. This silence is a green light for the occupation forces to continue to shed the blood of the unarmed demonstrators and hundreds others to come. 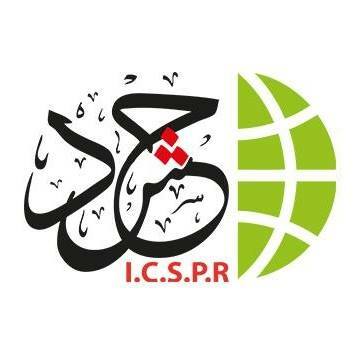 It calls upon the International Community (states – organizations) to exert sufficient political and diplomatic pressure on the Israeli occupation to stop the commission of any crime or international violation against the participants in the great return march. 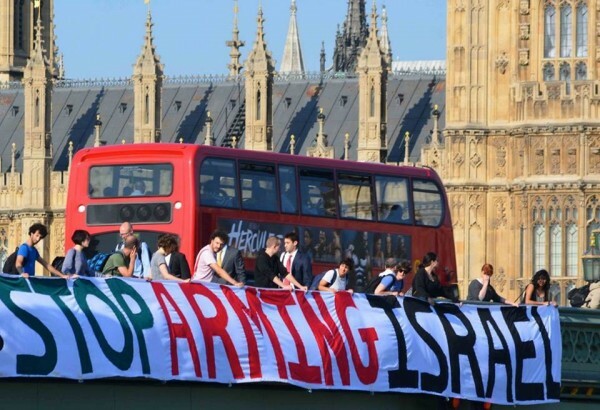 Based on the above, we hope that you will act now, in order to guarantee the right of Palestinians to life and physical integrity, their right to peaceful protest, to return to their homes and to political and economic self-determination. Therefore, we hope that you will adopt this appeal in your capacity and / or in the name of your organization, and take all measures to ensure that the demands and rights of Palestinian citizens are met. We truly hope you will act now, as tomorrow it might be too late. The Israeli army has claimed that Palestinian protesters along the Gaza border have attached firebombs to kites and flown them over the border fence, sparking several fires in the region. 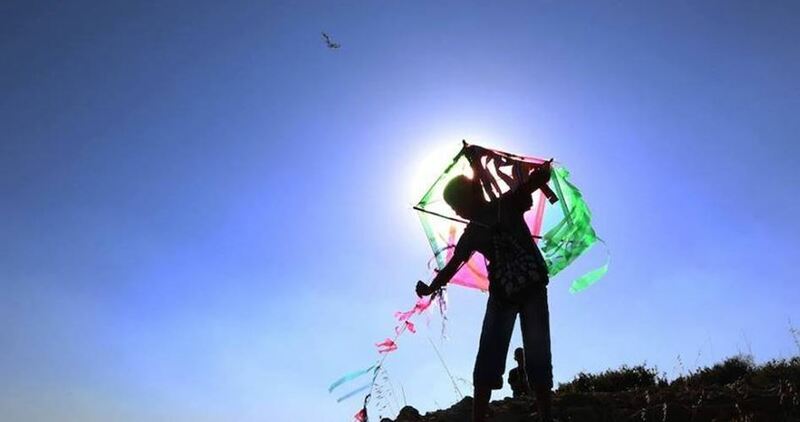 According to the Israeli Yediot Aharonot newspaper, kites with firebombs tied to them have been discovered recently on Gaza’s eastern borders. The blazes have allegedly caused damage to a ranch in the area. The Israeli army has been on high alert in anticipation of such future incidents. Israeli communities residing in settlements near Gaza border have been asked to remain alert and report any unusual fires in the area. For the past several weeks thousands of Palestinians have staged peaceful protests along the border fence separating the besieged Gaza Strip from territories occupied in 1948, demanding hundreds of thousands of Palestinian refugees who were displaced from their homes be allowed to return. 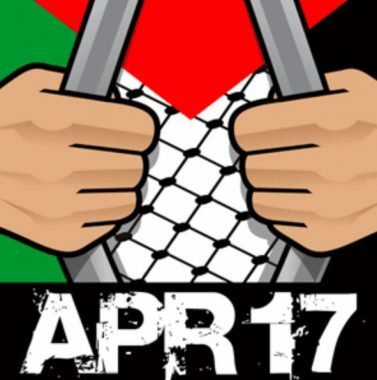 The so-called “ Great March of Return” is set to climax on May 15, when the Palestinians will mark 70 years since the “nakba” (“catastrophe” in Arabic), which culminated in the displacement of thousands of Palestinians from their motherland—Palestine. The 150 strong list of signatories includes European Network Against Arms Trade – a network of 18 organisations from 13 European countries, the National Federation of Railway Workers, Transport Workers, Officials and Employees of Luxembourg, Norwegian Union of Municipal and General Employees, Comisiones Obreras and CGT in the Spanish State, La Centrale Generale FGTB in Belgium, UNISON in Britain and the north of Ireland, the Belgian Workers Party, Podemos in the Spanish State,, Sinn Féin and Solidarity-People Before Profit in Ireland, déi Lénk in Luxembourg, a global Catholic peace movement Pax Christi International, Friends of the Earth Finland, Human Rights League in France and Kairos Sabeel in the Netherlands and UK among others. See here for letter and full list of signatories. Hamas yesterday denied reports that it has received a proposal offering for the EU to run the Gaza Strip, Quds Press reported. Local media had reported on Sunday that the EU had proposed for Hamas to bear the responsibility for the humanitarian and economic situation in the Gaza Strip if the PA and Israel agreed to funnel the taxes to the EU fund and Hamas agrees to a five-year truce with Israel. Adwan went on to say that the Arab League summit’s final statement was a “free invitation for normalising ties” with Israel. He also said that the resolutions about Jerusalem “are meaningless because the US decision on the holy city has become a reality on the ground.” Work must be done to reverse the American decision, he continued. “If there is no pressure or practical measures to cancel the US decision, I think we are heading to a situation which is worse than the ongoing one,” he said. The summit also failed to discuss Israel’s 11-year siege on the Gaza Strip and its deadly crackdown on peaceful protesters who have come out as part of the Great March of Return, Adwan added. The Arab League summit was held in Saudi Arabia on Sunday where Arab leaders and senior officials met and declared Jerusalem this year’s “capital of Arab tourism”. Some 511 Palestinian prisoners are currently serving life terms in Israeli jails, the spokesperson for the Palestinian Prisoners’ Centre for Studies said today. Marking Palestinian Prisoners’ Day which falls today, Riad Al-Ashqar said 15 more Palestinians were handed life sentences last year. Of those serving life terms, 52 were re-arrested by occupation forces after serving an initial sentence, Al-Ashqar said. Life terms which are issued by Israeli military courts, in which all Palestinian prisoners are tried, last 99 years. Rights groups say that there are about 6,500 Palestinian prisoners inside 22 Israeli jails, including about 400 who have medical conditions which need treatment, 400 being held under administrative detention, 350 minors and 57 women. Israeli settlers yesterday placed Israeli flags along the western wall of the Ibrahimi Mosque in the occupied West Bank city of Hebron, Quds Press reported. Under a heavy armed police presence the settlers placed the flags on top of the Muslim holy site to “celebrate the Palestinian Nakba or what they say is Israel’s independence”, the Director of Islamic Endowments in Hebron, Ismail Abu Halawa, said. “This is considered part of the Israeli efforts to judaise the Ibrahimi Mosque,” he added. Israel and settlers violate Islamic holy sites on a daily basis, he added.